Officials in Gary, Ind., say changes are being made to improve school bus service after kids were either stranded, picked up late or kept riding on buses for hours. Kristina Wright said she's been calling her daughter's school, the bus company and even her state senator, begging for answers as to why her special needs child sometimes doesn't get home until 4:30 p.m., two hours after school lets out. "He's just driving in circles and not dropping any of the kids off," Wright said her daughter told her. "'Nobody's getting off the bus, mommy, I'm scared.' Why isn't any of the kids getting off the bus?" Illinois Central Bus Company admitted Friday there's a problem but said those issues were being resolved. "The problem is last year they had 150 buses that were reduced to 60. The budget was over $11 million and now is at $5 million," said spokesman Jamal Washington. Additionally, Washington said the company received the bus route schedule just a few days before the new school year started. Beginning Oct. 29, an additional 30 buses will be added to the fleet. "The district was in some transition," said Gary Community School Corp. Supt. Dr. Cheryl Pruitt. "Starting yesterday, as a matter of fact, all the buses should be in their direct locations picking up students on time and delivering them to us." 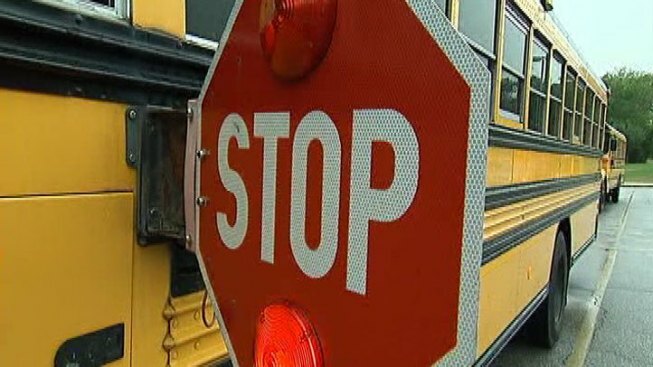 Bus company officials said parents should contact them and the school district to ensure all parties of a child's correct home address.